Online casinos have so many great games to play that there’s always something new to try. A confirmed poker fan might not think they have any time for other casino games, but with online casino playing, it’s so easy to switch to a different game for a few minutes and see what other games have to offer. One game that doesn’t seem to be as well as known compared with other casino classics is craps. This is a game that – like many games using dice – has been around for hundreds of years. 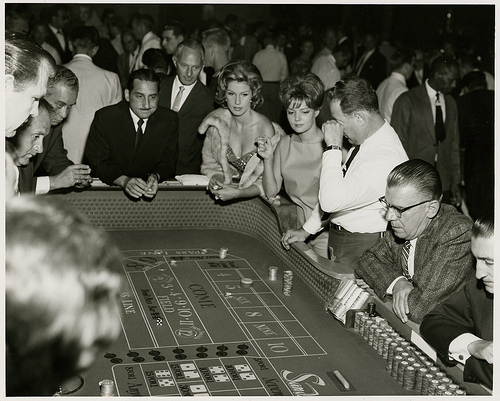 And nowadays, you can play craps online alongside most other casino games like poker, roulette, and baccarat. 3. The shooter not winning or losing, and the game moves to the next round. Bets have to be placed on the table before the first roll of the dice. The shooter places a standard bet on the pass line, then rolls the dice for the first time. If during this, the ‘come out’ roll, the dice show either 11 or 7, the usual win is even money – 1:1. If the total on the dice equals 2, 3 or 12 the shooter loses on his pass line bet. So, for example, if you rolled a snake eyes in the online casino playing craps (two ones), you’d lose the pass line bet. On the come out roll, if the total is 4, 5, 6, 8, 9 or 10, it’s said that the player has made ‘the point number.’ On the next roll, the player attempts to roll the same point number, but if he gets a 7 first, he loses. As you can see, craps isn’t a simple game like playing slots. You need to know a little bit about the different odds and different bets you can place. The great advantage of playing craps online is that you get to try out as many games of craps as you like for free in demo mode. You can practice as long as you like on the different software simulators before you start playing with real money bets. And when you’re ready to put down real money bets, then take advantage of one of the casino welcome bonuses that are on offer. Then, even if you have a losing streak at the craps table, it’s with money that wasn’t yours in the first place, so you won’t feel so bad about it!